Active Chiropractic & Wellness Centre offers the advanced BioFlex® Laser Therapy System. With three laser systems in our office, we can provide treatments to multiple patients, or can treat three areas of your body at once! The laser speeds up your body’s own healing ability to reduce pain, inflammation and improve your range of motion. You can return to doing the things you love and lessen the chance of needing drugs or surgery. To find out if your condition may respond to laser therapy, we’ll start with a thorough evaluation to gather information. 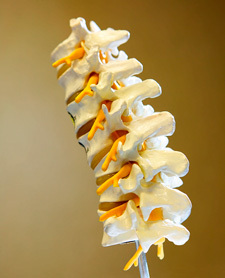 Then, we’ll decide if laser therapy, chiropractic or a combination of our services would benefit you the most. We ask that you wear comfortable clothes to have laser therapy done so that we can easily access the problem area. We’ll do treatment in a curtained area that protects your privacy. Don’t live with less than incredible health. Contact us today to find out how we can help you! Same-day appointments may be available. The following video is an excerpt from “The Brain’s Way of Healing” from the CBC’s “Nature of Things” narrated by Norman Doidge, M.D. This clip showcases the remarkable healing power of the Bioflex Laser system. For more information on the Bioflex Laser system can be found here. Laser therapy, also known as low-level laser or light therapy (LLLT), is the use of light from a low intensity laser diode or an array of Superluminous Diodes to eliminate pain, accelerate healing and decrease inflammation. LLLT is also known as cold laser, low intensity laser therapy or photobiomodulation. Laser therapy can be used to treat a broad range of medical conditions, including musculoskeletal problems, arthritis, sports injuries and wounds, chronic and degenerative conditions. Treatments can last between 15 minutes to over one hour depending on the condition and area being treated. The number of treatments will vary with regard to the individual problem as every patient and condition responds to Laser Therapy uniquely. In a recent clinical report on over 1,000 patients treated with the BioFlex Professional Laser Therapy System, patients averaged slightly less than 10 treatments to resolve their condition. In some patients, 1 treatment is sufficient; however, a range of 3 – 25 treatments can be required. In some cases, additional maintenance treatments may be recommended. Is laser therapy covered by public or private insurance plans? As a Chiropractor providing laser therapy as one of our therapeutic approaches, most insured patients will have coverage for laser therapy services we provide. Hundreds of research studies have shown laser therapy to be safe and effective. Laser Therapy is non-invasive, non-toxic and non-thermal. Unlike other forms of radiation, laser therapy is beneficial rather than harmful to tissue. Yes. Laser therapy should be avoided in the following instances: over the womb for women in their first trimester of pregnancy and over cancerous tumours. Who uses BioFlex Laser Therapy? The BioFlex Laser Therapy Systems have also been used by a number of sports professionals: The Toronto Raptors, the Toronto Maple Leafs, the Toronto Blue Jays, the Miami Heat, the Canadian National Ballet Company and other high performance organizations.